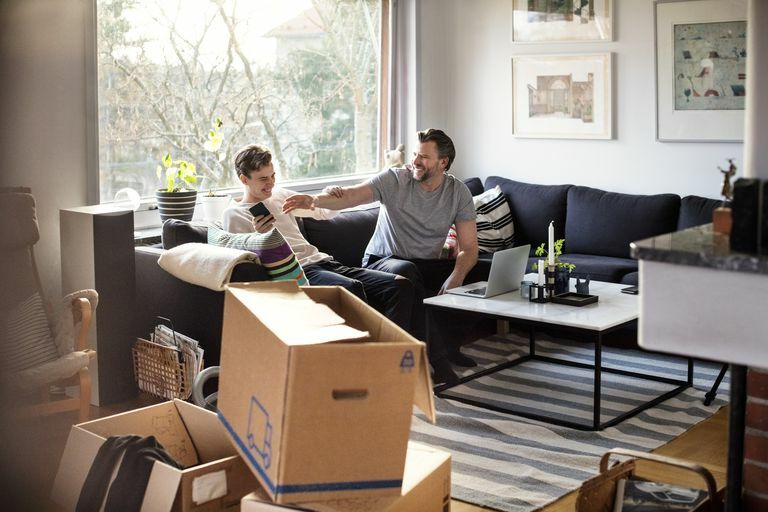 Sure, moving back in with your parents may not have been your first choice for what to do after you graduated from college. Many people, however, move back in with their folks for a wide range of reasons. No matter why you're doing it, there are some steps you can take to make the situation easier for everyone. True, you may have been able to come and go as you please, leave your room a disaster, and have a new guest over every night while you were in the residence halls, but this arrangement may not work for your folks. Set some reasonable expectations — for everyone involved — before you even step through the door. Alright, you may have to have a curfew so your poor mother doesn't think something terrible has happened to you if you're not home by 4:00 in the morning — but your mom also needs to understand that she can't just barge into your room without any notice. Set some ground rules as soon as possible to make sure everyone is clear on how things will work. 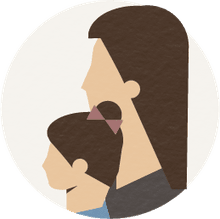 Expect a combination of a roommate relationship and a parent/kid relationship. Yes, you've had roommates for the past several years, and you may view your parents as similar to them. Your parents, however, will always view you as their child. Do your best to keep this in mind as you figure out how things will work once you move back in. Sure, it seems ridiculous for a roommate to want to know where you're going every night. But your parents probably have a legitimate right to ask. Do you just need someplace to crash between when you graduate from college and when you start graduate school in the fall? Or do you need somewhere to live until you can save enough money on your own to get your own place? Talk about how long you plan on staying — 3 months, 6 months, 1 year — and then check back in with your parents once that time frame is up. No one really likes to talk about money. But addressing the topic with your parents — how much you'll pay in rent, for food, to get back on their health insurance plan, or if the car you've been borrowing needs more gas — will help prevent a ton of problems later. After living on your own or in the residence halls during college, living with your parents can become very isolating. Do your best to have systems in place that provide you with an outlet and support network that is separate from your parents'. Yes, your parents are letting you stay at their place, and yes, you may pay rent to do so. But are there other ways you can help, especially if money is tight for everyone? Can you help around the house — with yard work, fix-it projects, or technical support for the computers they can never get to work right — in ways that will make your living relationship much more symbiotic? Your parents may have a very specific — and outdated — idea of "who" is moving back in with them. Take a deep breath and do your best to remind them that, while you left the house as an 18-year-old college freshman, you are now returning as a 22-year-old, college-educated adult. Just because you are at your parents' place, waiting until you can move out on your own, doesn't mean your life is on pause. Volunteer, date, explore new things and do your best to continue learning and growing instead of just waiting for your first opportunity to move on to somewhere else. This may seem completely unthinkable if moving back in with your folks was the last thing you wanted to do. However, living at home can be a once-in-a-lifetime opportunity to finally learn your mom's secret fried chicken recipe and your dad's amazing way with woodworking tools. Live it up and take in as much as you can.